This book was left me with mixed thoughts. I liked the story line and where it was headed. I did connect with the characters for some parts and then at some point in the book my connection was lost. I wasn’t feeling it anymore. 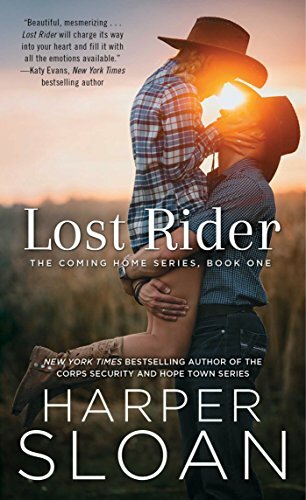 This kind of gave me the Longest Ride feel to it but with Harper’s own twists. Maverick has known what he always wanted to do in life. He made a great career out of it until an accident changed his world. Reading about his childhood though threw me for a loop. I felt bad for him, no child should ever have had to go through what he went through. But I understood why he left, he had good reason to. I loved his passion for his career. How he never gave up on his dream. It was a go big or go home kind of thing. In the end, he ended up going back home to where he wanted to be far away from. Leighton has always had a crush on Maverick but he pushed her away. We find out why and of course I understand it. She was a family person up until she had none. But with that, her best friend and her family welcomed her with open arms. I loved how close Leighton and Brianna are. I’ve had a girl like that so I know how much they depend on one another. Leighton has accomplished a lot of has made her life successful even with things not going her way. When Maverick and Leighton cross paths again, he at first pushes her away again causing past feelings to surface. But we see Maverick try really hard to win her over while he struggles to make a new life for himself. We see his struggle and we see him fall but one person will always be constant. I did like the direction of where the story was headed. But I just didn’t feel the connection there. For me, towards the ending started to get a bit flat. I did love how close the family was and how they always included Leighton. It shows that family is not only by blood. I received an advanced copy for my honest review. Harper Sloan is the New York Times and USA Today bestselling author of the Corps Security and Hope Town series. She started using writing as a way to unwind when the house went to sleep at night. Harper lives in Georgia with her family. Visit her at AuthorHarperSloan.com or Facebook.com/HarperSloanBooks.